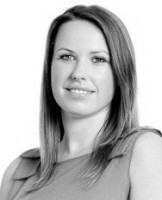 My name is Emily Stonehill and I have over 15 year's experience of varying administration, PA and Marketing roles. I successfully created ESVirtual Assistant after identifying a need for virtual business support in the Surrey and surrounding areas while at the same time complimenting my home life. My varied roles have included managing international offsites/events for Microsoft, managing an Executive Search start up and recently working for the CEO / Board at Autotrader while they transitioned through a £2.35bn IPO. I have sat in an office of one setting up IT networks, creating databases, branding and bookkeeping through to planning and solely hosting a Board's Chinese investment delegates to the UK. My experience of start-up, midsize and corporate companies have afforded me the understanding of working at varying focuses and paces. I understand the importance of small business processes through to the multi-stakeholder handling of Corporate Boards. I pride myself in providing first class support. I am a very focused down to earth individual who loves a good task list! Please contact me to find out how I can help your with your business needs.